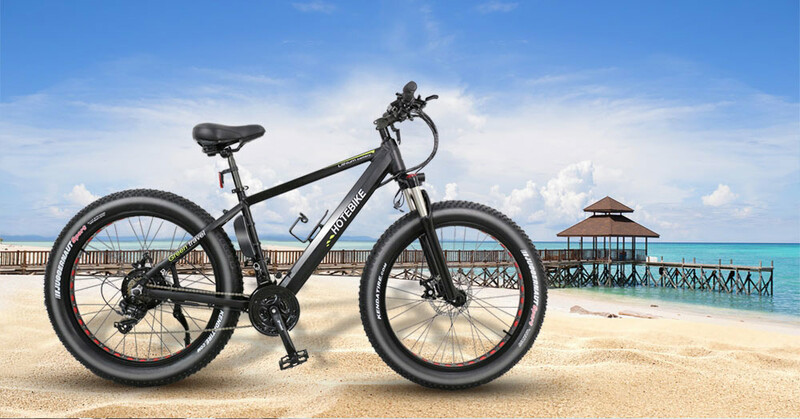 500W Electric Chopper Bike A6AH26F is designed with 26*4.0 inch FAT Tyres and FAST 48v 500W Power. Built with a 48V 10Ah Lithium Battery hide in the frame. Max Speed is 35KM/h(contingent on the rider weight) And Distance of 60km per charge. This Electric Chopper Bike is designed to face hard winters and to travel in extreme conditions. 500W electric hub motor giving you high power and acceleration to help you get up hills. Powerful and practical with its unique military-grade aluminium frame, The Electric Chopper Bike is ready to take you to places you have never imagined at the push of a button. It’s equipped with a heavy fork suspension and fat tires to observe all kind of shocks regardless of terrain. Perfect for any ride whether a rough or soft terrain, steep hills, Electric Chopper Bike has your back. This Electric Chopper Bike looks like a regular bicycle, people wont know your running electric, until you wizz past them. The battery can be taken out, easy to charge it separately.